We spent over 32 hours researching and testing 20 different kinds of bowling balls and found that weight range availability, design and color, and brand name reputation were most important. The Brunswick Rhino Bowling Ball scored high marks in all areas and is our top pick. If you are just getting used to using a reactive resin ball, this is a great choice. It also works well on light to medium oil conditions. The design of the ball prevents oversensitivity to certain parts of the lane that may be too dry or oily. This ball also produces easy backend hook motion. Bowling may not be as popular as it used to be decades ago but it is still a sport that is holding its own. It is enjoyable for people of all ages and skill levels; even little children can participate thanks to bowling alley additions like bumpers that can be lowered to prevent repeated gutter balls and even ramps for super young ones to push the bowling balls off of. If a city or town has a bowling alley, chances are it is still a preferable place to go with the family, on a date and even to participate in leagues. If you really enjoy this sport and want to participate in leagues or on a regular basis, you will find that it is even more enjoyable when you have your own bowling ball. Purchasing a bowling ball that fits your specific hand size and throwing style and that is weighted properly can dictate just how well you perform on the lanes. There are several factors that go into choosing the right bowling ball for your needs and playing style. The purpose of this buyer’s guide is to provide you with the information you need to choose the right bowling ball including what to look for and how to ensure that you get exactly what you are looking for. Brunswick is a well known name in the bowling industry that is synonymous with quality and value. The Brunswick Rhino Reactive bowling ball is the perfect choice for a bowler that is just getting started using a reactive resin ball. This terrific bowling ball is also a good choice for those who need a ball for light to medium oil conditions. 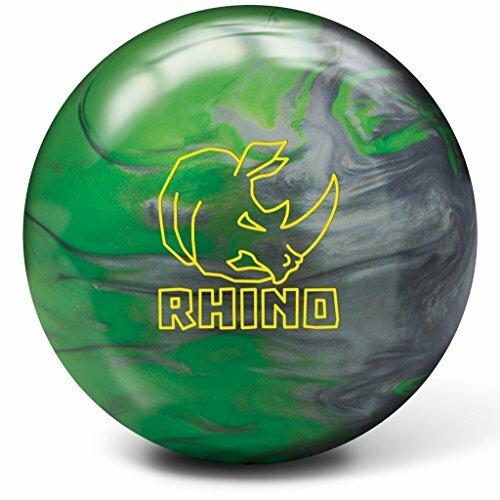 This Rhino ball provides bowlers with the perfect amount of control and power. This R-16 formula prevents oversensitivity to parts of the lane that may be oily or dry. It produces easy backend hook motion. The light bulb core shape is a traditional Brunswick trademark and provides the bowler with the kind of pin action they want as well as incredible ball motion. This means more strikes and what every bowler wants; higher scores too. This Rhino bowling ball can be drilled using the regular drilling techniques that symmetric bowling balls are drilled with. Bowlers can choose from weights of 12 pounds to 16 pounds. You will find that you get consistent ball reaction the more you use it. There are several color choices available including: black pearl, black/blue/silver, green/silver, purple/pink/white pearl, or red/black/gold. Pyramid brings you a bowling ball that offers great performance at a great entry level price. This is a great choice for medium to medium dry lane conditions. 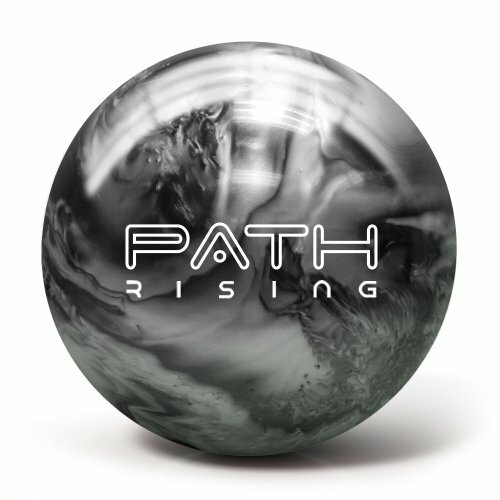 The Path Rising is a ball that offers versatile ball motion on many different lane conditions. The 139 New Era core can handle a variety of different drilling options so you can have it drilled for your playing style. The reactive pearl coverstock gives excellent ball motion that will work for many different skill levels. The finish on the Path Rising is a 1500-grit polished finish that gives the ball a nice, clean look; much cleaner than the original. Bowlers will also experience sharper ball reactions as it goes down the lane as well. This ball is USBC approved. Bowlers can choose from blue/silver, black/hot pink, black/silver, blue/dark blue, and purple/steel blue. 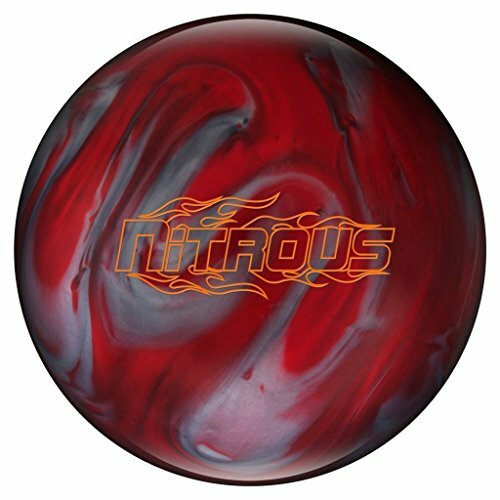 If you are looking for a bowling ball that will help you boost your game, choose the Columbia 300 Nitrous Bowling Ball. This ball is reasonably priced and provides bowlers with a ball that is perfect for medium to light oiled lanes. It is well suited to any type of bowling style and skill level. The two piece Nitrous core provides the consistency you are looking for and has been paired with the Boost/R coverstock that improves lane grip. Its striking appearance is 500/2000 Abralon Polished with Powerhouse factory finish for a gloss that looks great under the lights. Color choices include black/blue/bronze, purple/pink, red/silver, and silver/black. Bowling balls are available in a wide variety of compositions, materials, weights and color choices. There are all kinds of bowling balls on the market that work for different bowling styles from beginner to the most advanced bowler. It’s not as simple as you might think to find the right bowling ball. The type of bowling ball you choose can mean the difference between being an okay bowler and being a terrific bowler. The first step is to know who you are when it comes to bowling style and skill level and then look at the different offerings that match that. The three bowling balls we have reviewed above are from reputable companies in the bowling industry and are known for their quality products. They work for a variety of lane conditions and offer the bowler different weight choices, color choices and the ability to have the ball drilled for whatever playing style you have. If you want to learn more about the different bowling balls on the market, read the buyer’s guide below. It will provide you with a lot of information on what to look for when choosing the right bowling ball. It will also provide you with how to select the best bowling ball for your needs and even how to determine what those needs are. We have provided you with the following tips that you should consider when you are ready to start shopping for your bowling ball. These tips will make the whole shopping process make a lot more sense when you start researching the different balls available. Heavy does not always equal the best – One of the biggest mistakes that bowlers can make is choosing a ball that is way too heavy for them to throw properly. They seem to think that a lighter ball is something to be embarrassed about. Choosing a bowling ball that is too heavy is a good way to injure yourself. It’s much harder to control a ball that is too heavy for you. You usually throw a ball about 23 times during a game. If you are throwing a ball that is too heavy for you, your arm, wrist and game will suffer. The best way to find the right weight for your bowling ball is to simulate the bowling swing motion with a regular dumbbell that is the same weight as the ball you want to use Stand straight and hold the ball with the hand you bowl with. Swing the weight back and forth 23 times and see what your arm feels like when you are done with the 23rd swing. If your arm is tired or sore you need to reduce the weight. If you feel nothing and it feels like you could swing the ball 50 more times, the weight is too light. You are aiming for a feeling of comfort that you could swing it a few more times with no presence of soreness or tiredness. Choose the best ball for your style – Who doesn’t want to stand on the line and toss the ball like a pro? Unfortunately, that is not the norm. It is important to find a bowling ball that fits your bowling style and preferred technique. Do you like to throw a hook? Do you bowl straight? Make sure when you take the ball you’ve chosen to be drilled you let the Pro know what bowling style you have. Consider the lane conditions – Every bowling alley is different and the lane conditions are going to be different as well. Whether you are bowling at the same alley every week or you go to different lanes you need to consider the lane conditions of the bowling alley that you will be spending the most time at. If the lanes are fast with a lot of oil, you want to choose a ball that responds to those conditions. If you consistently bowl where lane conditions are different, consider choosing two balls, one for each type of lane condition, for the best performance and results. Talk to the Pro – The Pros in the pro shop are there for a reason. They are bowlers themselves, usually exceptional bowlers, and can help steer you in the right direction. In many cases they are more than happy to help you decide what your bowling style is and what the best bowling ball for you will be. Weight is one of the most important factors you can look at when it comes to choosing the right bowling ball. It can either be too heavy or too light, both of which will negatively affect your game. You want to choose the heaviest ball you can comfortably swing 23 times without pain or fatigue. Balls can range in weight from super light weights that are suitable for children all the way up to 16 pounds. As you bowl more and get stronger and better, you will more than likely move up in weight. Starting off heavy only discourages you. We’ve listed the average weight ranges for different bowlers below. This is just a guideline that can help you find the correct weight. Adult Male – Normally can bowl with a ball that is 14 to 16 pounds. Children – plan on 1 pound per year of age up to 10 years of age and then do the bowling test with the weight. Your ball’s performance is affected by the composition of the bowling ball. Some balls are highly reactive and can be affected by slight movements. Others are much less sensitive and will stay the path you’ve thrown them. If you are choosing a bowling ball by composition you should ensure that you know what your skill level is and then look for the right composition for those skills. We have listed this information below. Plastic – Plastic is for beginning players. It does extremely well in dry lane conditions. It is very well suited for bowlers who bowl in a straight line with very little to no hook. It is the least expensive of all the bowling balls. Polyurethane – Polyurethane balls are good for intermediate bowlers. They are well suited for lightly oiled lanes due to their sanded finish. This type of ball offers the bowler more chances for getting strikes due to the fact that the pins remain low when they are hit. This ball rolls with a more controlled hook. If you are learning to throw a hook, this may be a good choice for you. Resin – Resin bowling balls are good for advanced players who have been bowling for awhile. It performs very well on oiled lanes and can handle a sharp hook with plenty of power behind it. It has a greater entry angle and provides the best strike potential. It is also the most expensive bowling ball on the market. Millions of people of all different ages bowl across the US. If you only play once in a great while, you will most likely be content to use the rentals but if you are interested in bowling on a more serious level, you will want to invest in your own bowling ball. Getting a customized bowling ball can really propel your game forward since the ball is designed for your skill level and bowling style. The different things that you want to consider have been listed in this buyer’s guide so you can more easily find the right bowling ball for your needs and playing style. Remember that weight is one of the most important factors in choosing the right ball, so before you start looking, perform the weight test we have described in the guide above. Once you have chosen he right weight, take a look at the three top rated bowling balls that we have featured above. They are from reputable companies that produce exceptional quality bowling balls. Any one of these bowling ball choices is good for bowlers of any skill level. Use the information you have learned in this buyer’s guide to sort through the different bowling ball choices so you can make a confident and informed decision that will enhance your bowling game.